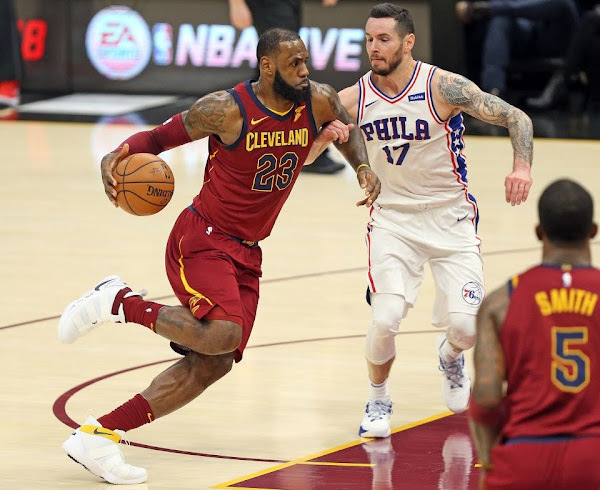 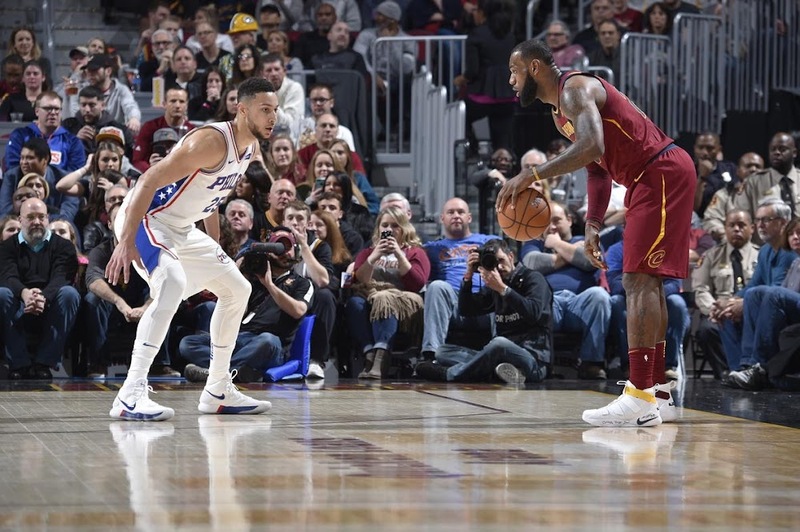 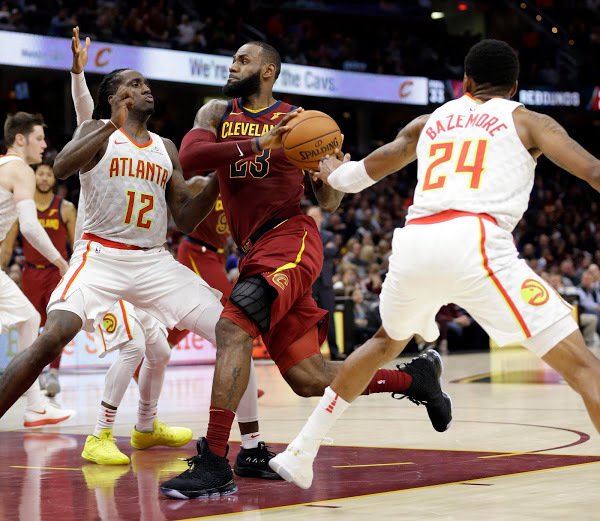 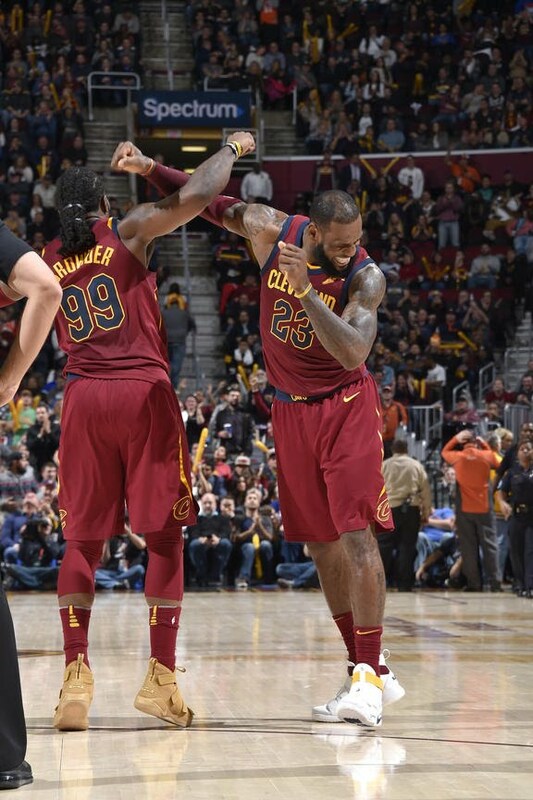 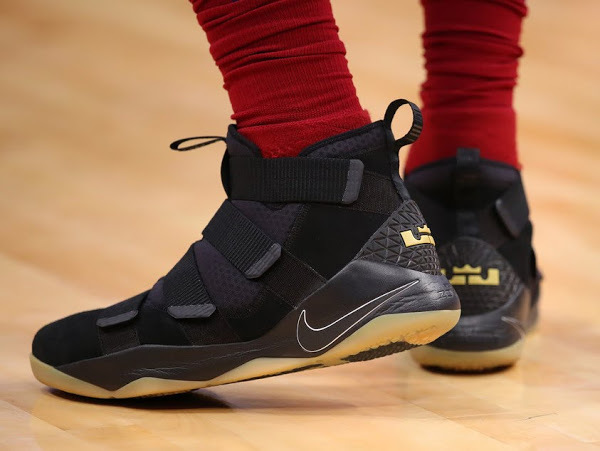 Last season LeBron James wore 68 different shoes (Playoffs included), but only 13 of those were General Release styles… meaning pairs that you can buy in stores. 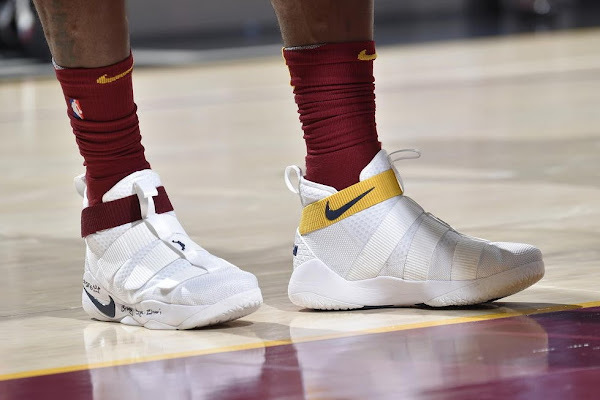 This season he’s worn 26 different shoes in only 27 games and he’s already used GRs more… 14 times. 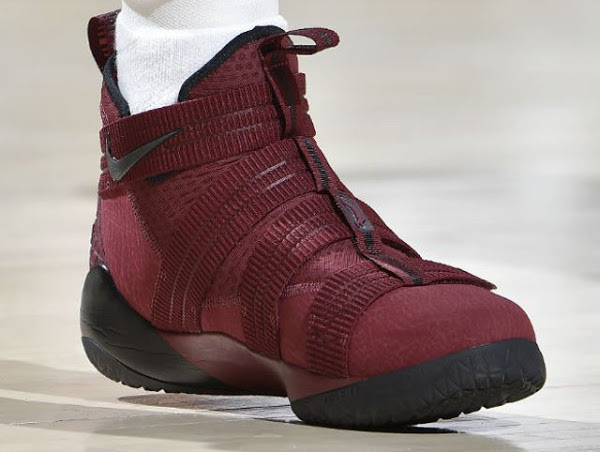 After having problems with the LeBron 15, James has been using other shoes from his signature collection, mostly the LeBron Soldier 11. 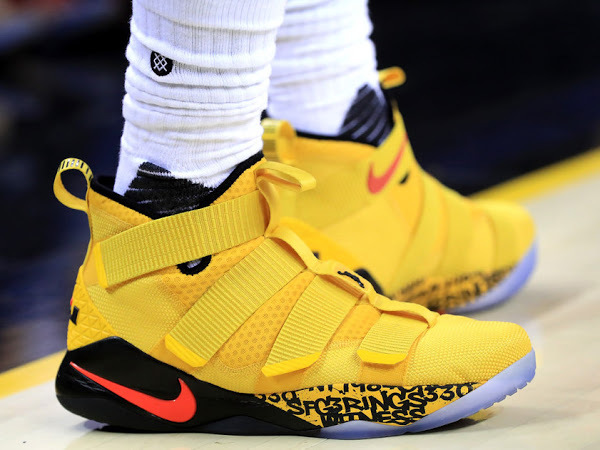 He’s already worn 8 different pairs, but last night was actually the first time he used a Player Exclusive colorway. He laced up a new White based make up with Cavs colored straps… Wine on the right shoe and Yellow on the left shoe. 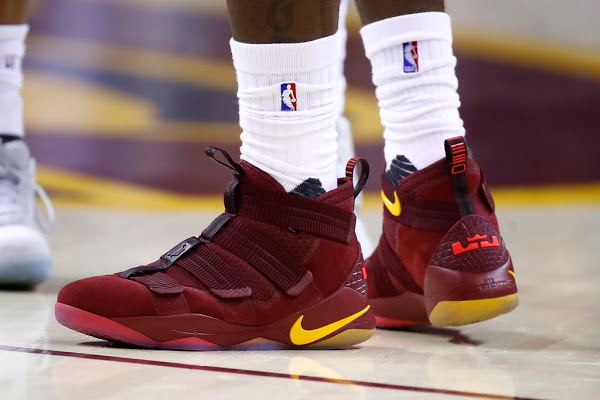 I wonder if King James keeps up this pace… it’s getting ridiculous.